America's First (and Still #1) Certified Organic Mattress! OrganicPedic® certified organic mattresses are made by hand at our California-based Eco-Factory™ using certified organic cotton, wool and latex. Sleep on a luxury mattress designed for exceptional comfort, safe sleep and a healthy home. Built by hand at our Eco-Factory™ in Northern California from the finest certified organic raw materials available, OrganicPedic Earth® mattresses provide a sensational feel for sleepers who prefer a plush mattress. All of OMI's mattresses are made by hand at our Eco-Factory™ – a GOTS-certified organic-sleep-products production facility located in northern California. OMI is the only Truly handmade-in-the-USA Luxury organic mattress with a 20-year warranty. 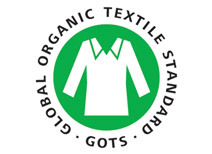 At OMI, we provide the purest and most honest, third-party-certified organic products in the industry. 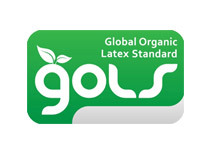 To help consumers verify our claim, we make our certifications public online and also provide a purity guarantee.